Many Americans carry debt that impacts their finances and how they manage their budget. One study from the Federal Reserve suggests that the average household carries over $137,00 in debt, with the majority owed to a monthly mortgage or student loan payments. However, many Americans also shoulder the burden of credit card debt due to careless spending. 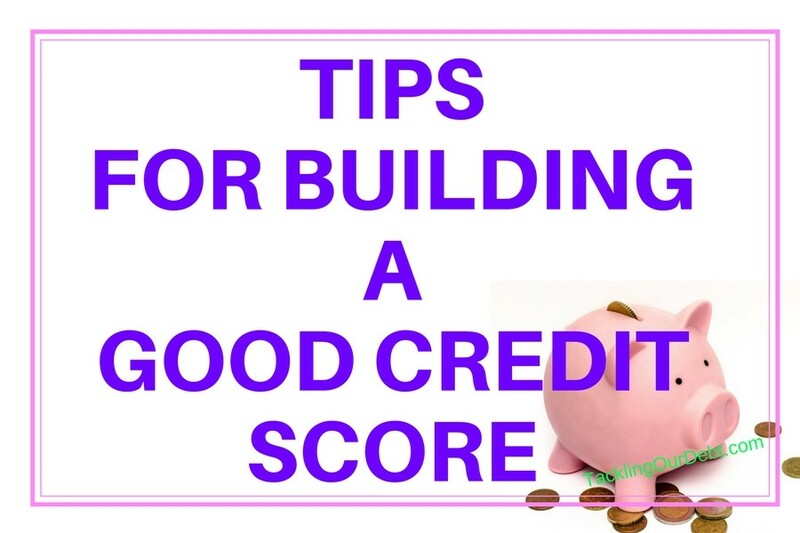 If you are working to build your credit score and have little to no credit history, there are a few strategies you can use to avoid severe debt and achieve an impressive credit score. Deciding how to build good credit can be a puzzling process, especially when there are so many credit choices available. However, if your goal is to build a good credit score, you may want to consider applying for a secured credit card. These cards work much like traditional credit cards but with one important difference: you submit a cash deposit that usually matches the credit limit the company offers you. This may prevent overspending and teach you how to use the card wisely. For example, if a company that offers you a secured card gives you a $500 credit limit, you put up the same amount, which the lender holds as security against what you spend on the card. Once the deposit is secure, you can use the card as you would any other. But, if you fail to make payments, the lender will subtract that money from the amount you deposited with them previously. If you spend and pay wisely, you can collect your original deposit once you close the account and learn positive credit habits for the future. As you build your credit score, you may start to receive card offers from stores you shop at frequently. Many department stores, general merchandise chains, and specialty retailers offer their own credit cards. They entice you with the rewards they offer when you sign up. Yes, it may seem like a good way to earn rewards, but your credit score might take a negative hit in the future because you applied for too many credit cards. Some retailers have their employees push credit card offers on their customers every time you are in the store. But it is important that you listen carefully to any discounts offered and question rates and fees before you decide to apply. Some store cards may help you build credit, but only if you choose those without outrageous interest rates and high annual fees. Otherwise, you may become one of many Americans who regret the decision to apply for an individual store card. You may believe that you need to carry a balance on your credit card to build a credit history, but this may do you more harm than good in the long run. Depending on the card or cards you use, high interest payments on an unpaid balance could eat up any cash you want to apply to the principal balance. Over time, the payments you send might not have much of an impact on the total amount you owe, since most of it will go to interest. Since interest payments are a common cause of accumulating credit card debt, it is wise to get into the habit of paying off your total balance at the end of each month. Not only will this help you avoid interest charges, but you will spend less as a result. Once you have at least one credit card account that is in good standing, you can continue to build up your credit score by applying for small personal loans. Look into financial companies that offer lines of credit, such as Speedy Cash. This corporation, which is run by CEO Don Gayhardt, provides individuals with several different types of loans, including title and payday loans. As with any loan, it is a good idea to review the terms and conditions of the repayment options. Choose one that best suits your budget so you can pay it off in a timely manner. If you are applying for a loan for the first time, you may want to consider having a co-signer to increase your odds of securing credit. Your mother, father, or another adult whose credit is in good standing can assist you with that. Financial and credit mentoring can help you build a positive credit score and keep overwhelming debt at bay. While your overall credit score can be affected by a variety of factors, missing due dates for credit card and loan payments might lower it drastically. Credit reporting companies may also report these late payments and affect your chances of retaining credit for important purchases later, such as a car or apartment rental. Track due dates carefully and pay your bill ahead of time if possible. Building a good credit score from scratch can be a challenge, but it is not impossible. Careful planning, wise spending, and establishing smart credit habits from the start can help you establish an impressive score and avoid years of debt trouble.